Discussion in 'iPhone and iPad Games' started by touchy85, Jul 13, 2016. You are right, this is really good and I really like it thus far, this is a winner I can tell you. Looks like a lot of fun. I'll have to watch the video & read up on it. Every bit of brilliant I hoped it would be and more. Great puzzle game. 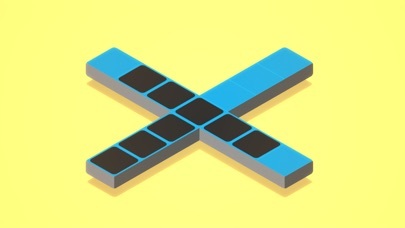 At its heart, it's just another pipe puzzle game. But as a whole, it becomes so much more. 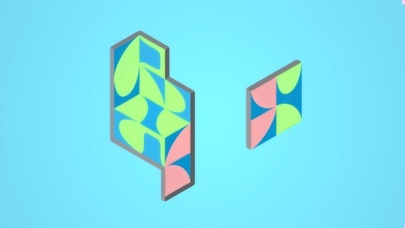 Players begin by swapping tiles to create correct pipe patterns (that have only rounded ends). The first interesting thing the game throws at you is the inclusion of a 3D environment, which might elicit nothing more than a little smile and relief that the 3D presentation of the game is more than window dressing. Soon, however, the true inspiration in the game begins to shine. 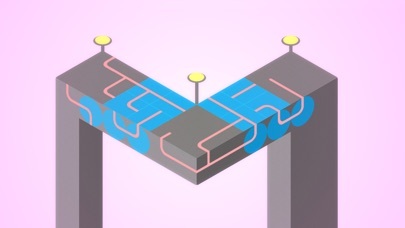 A new method of aligning pipes; a new method of changing the environment; and they all start building up together into puzzles that are really very fun. The puzzles themselves may not be the most interesting or clever, but that's not the point; the concept is brilliant and it keeps up a healthy pace where you'll never get tired of the creative combinations of old ideas. I probably won't be able to stop myself from playing through it all today! Weird! There were like 4 or 5 levels with a really out of place graphical change to Polymer pieces. I thought it was really odd and it went away after those few levels, most of which were reskins of earlier levels. Were these meant to be in the final version of the game? 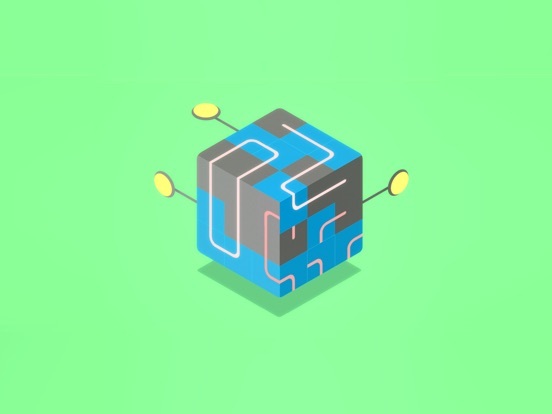 It seems odd to have such out of place graphics that resembled Polymer so much and it soon went back to creative and interesting puzzles with the addition of a crazy creative new combination of mechanics. I'm wondering if those levels were included by mistake. Edit: they reappear in a later level in tandem with normal lines and also in the final level. I don't really appreciate their purpose as a differently coloured line would have sufficed in their place. Fun game overall! I wish it was a little bit longer: the potential to make trickier puzzles with the mechanics wasn't quite fully realised. Also I didn't like the polymer style final addition which didn't really serve any purpose. Also there is no fanfare when you finish the game; it just sends you back to the first level! I wouldn't mind some recognition for finishing the game. I love Hook, and am delighted to see another puzzler by this developer. Downloading now. I agree with pretty much all of this. I didn't mind the "Polymer" blocks but they didn't add anything to the game. The ending was a letdown and it was over in about 45 minutes for me, but I enjoyed playing it and I'm glad I bought it. Editor's Choice Game! I'm feeling very pleased while playing this game! Totally worth a download with only 1 dollar!!! I have played it 30 minutes and i hope the end is far far away. 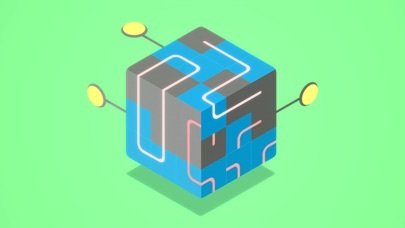 Is there an index of all of the puzzles in this game from which you can monitor your progress or select a specific level for replay? The only level selectors I could find are the two arrows at the bottom, but I have no idea how far along I am currently in the game. This game is really excellent. A great and worthy follow up to Hook! This game is brilliant. This is where TA fails. No articles about this, but 7,000 about Pokemon GO. 11 comments on this stroke of genius, 67,000 articles on a game just because it's popular, not because it's actually a good quality game. Kudos to this game, glad I bought it. I want more substance in mobile gaming, but just have to accept the fact that everyone's knees will get weak when Digimon GO releases next. This is easily one of the best puzzle games out there. 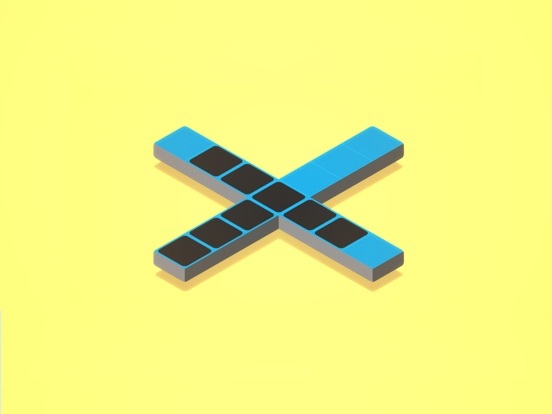 Pretty simple puzzle game to complete - won't take too much of your time. But the harmony of the different ways to rearrange the tiles is what shines here. With so many ways to rearrange the tiles including shifting or rotating, things get really interesting near the end. Unfortunately it's not exactly very difficult. I enjoyed cracking my brain for a bit on the 3rd last puzzle which I felt was pretty brilliantly crafted. Some of the puzzles also stump me momentarily, which was nice. I have no idea what's the 2nd last puzzle for, and I presume the last puzzle that completes to a bunch of hearts is a thank you to players? Fantastic puzzler, really enjoying this. I only wish there was some way to see how far I've progressed. I wonder why something like that wasn't included. Agree with the consensus of the forum posts here, particularly those by TheGreatEscaper. Puzzles are mostly trivial to easy, but I sense that this may have been a deliberate decision on the developer's part to make the game more accessible. The mixture of mechanics are welcomed and quite clever, though under-utilized and under-explored and could be better leveraged to create more complex puzzles. The lack of a move counter and the lack of specificity of working solutions are also missed opportunities, but again I sense that these omissions may have been a deliberate design choice. Overall, as a causal puzzle game (much like Hook) to be finished in a single sitting, it is definitely recommended. It's a shame to read that the games not fully fleshed out. But reading how good the game is and off for watching the video, I decided to buy the game anyway.